Family life can get busy fast! There always seems too much to do with too little time. It’s easy to feel like you’re on a hamster wheel doing the same thing day in and day out, with very little change. No one wants to live that way! We each have within us the desire to live an abundant life…enjoy our time with family making memories, laughing, and doing things that bring joy. 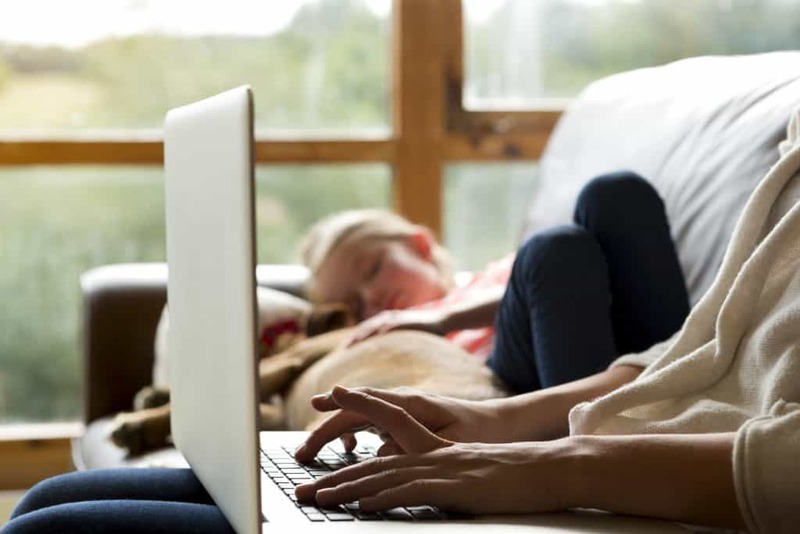 While there are many variables that impact our ability to achieve this ideal state, simple tweaks to daily responsibilities can help create room for the more enjoyable activities. Let’s make family life easier with simple changes that make space for the quality things you really enjoy! Many of us struggle with systems or routines to help us get organized. Maybe you or another family member always struggle to find the keys or the cell phone is often out of battery. Perhaps the laundry always piles up on you and then it becomes an insurmountable task. By implementing systems and creating routines you can take the guesswork out of day-to-day life and streamline mundane activities. Although daily tasks may seem minor in and of themselves, without an established routine they create micro-stresses each day, wearing you down little by little. 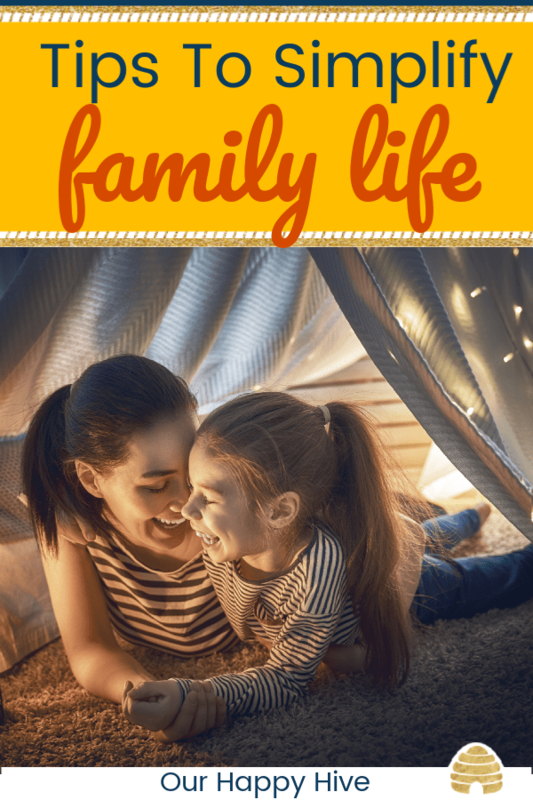 If you want to make family life easier, establish routines for some of the following items. Home for important items – Have a set location where you put your keys, wallet, eye glasses and/or cell phone every time you come home. Charging your devices – Find the ideal time to charge your devices so that you don’t need one in a pinch and learn that it’s about to die. Some options include plugging in when you go to bed, or charging while you do work. Another, less reliable option is charging while you’re in the car. Menu planning – Set one day of the week to plan your meals and make your grocery list. I do this on Sundays and either order online to pick up the next day or go shopping on Mondays (to avoid the crowds). Check out the free Family Organization Bundle at the end of the post for a free Menu Planner + Grocery list. Paying bills – if you don’t automate this (more on this coming up in the next section!) or if there are bills that you need to pay manually, set a reminder in your calendar and establish the same time each month to pay them e.g. the 1st, 15th, or 30th of each month depending on due dates. Morning routine / Evening routine – Kids thrive on predictability. Routines help provide structure and empower them to be an active player in the process. Doing laundry – You can set a day for each family member’s laundry to get done e.g. Mom on Monday, Dad on Tuesday etc. or some people prefer to get it all done in one day. Figure out what works best for you and hardwire it! These are just a few examples. There are many routines you can create for your family. If the above ideas don’t resonate with you, create your own list. 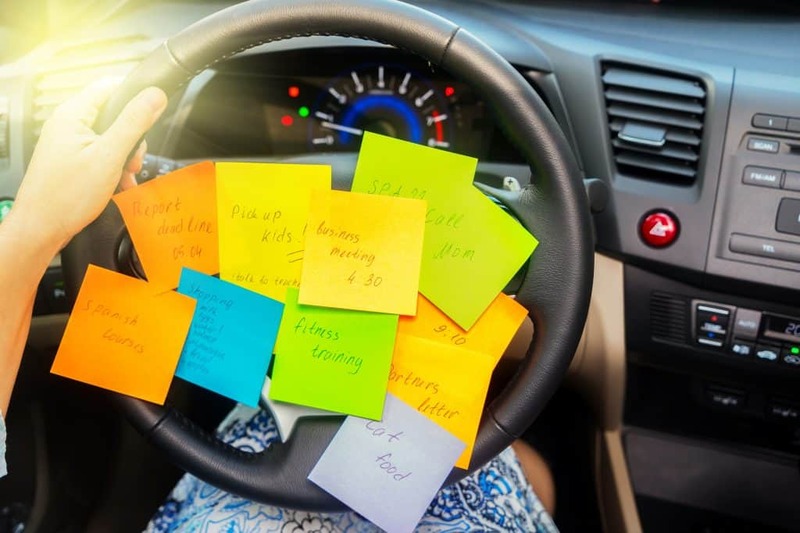 Start by identifying the top 2-3 stressors in your day, week, or month and consider if there’s a way that you can proactively plan for it in order to eliminate the stress! By systemizing regular activities, they will no longer zap your mental energy and you can focus on the things you really enjoy. Another way to make family life easier is to take advantage of the technology that’s available today. Perhaps the bills sneak up on you each month and you forget to pay them until the due date has passed…automate them! Maybe you have to vacuum daily due to kid crumbs…use a robotic vacuum. If you’re short on time, order groceries online or use a meal planning service. There are even apps like “Find Friends” where you can keep track of the location of your family member so you don’t have to chase their location down. There are apps to find recipes, create and manage a budget, even sync calendars so that you and your husband are on the same page with family commitments. Some of my favorite apps and online services include the following. Check them out if you haven’t already. Trello – List manager- make countless lists for groceries, vacation, home renovations, you name it! 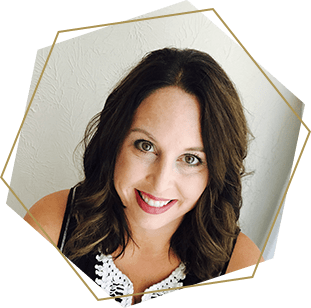 So, we’ve talked about establishing routines and taking advantage of technology, I’d be remiss if I didn’t mention there are also things you need to stop doing in order to make family life easier. Listen, mama, I realize this can be easier said than done, so don’t be too hard on yourself or try to change too much at once. There’s no judgment here. The goal is to take out the stress and maximize the good times with your family. Check out the list below for a few ideas, but it’s really important that you figure out what’s a priority for you and go from there. Stop doing things for your kids that they should be doing e.g. picking up their toys or doing their homework. If you have kids that are around preschool age, this can be a tough one. You’re so used to doing things for them…you have to retrain yourself to do less and let them do more. It takes a little effort at first but it will pay off! The FREE Family Organization Bundle at the end of this post includes an Age Appropriate Chore List. Being overscheduled…build margin into each day…times when you don’t have a commitment to allow for flexibility. When you’re over scheduled, you’re always on the brink of being stressed. If one thing runs over or someone forgets something- there goes your schedule and you’re late for the next thing on your list. Margin helps keep stress at bay! Comparing your family to another. Keeping up with the Jones’ is easy to do in our picture perfect world of Instagram or Facebook. Remember- your family is unique and wonderful. Just like each person, each family has a dynamic all of its own and a purpose that is different than your friends family or “the Jones.’” Comparison is a downer and takes away the joy from the unique beauty of your family. Not prioritizing sleep. It’s easy for us to try to burn the candle at both ends. I’m guilty of it…tell me I’m not alone. Sleep deprivation can happen easily. We’re all familiar with it when we have a newborn, but it can happen when you’re not prioritizing sleep as well. Sleep helps you recharge, get a new focus, and have the energy to take on the day. 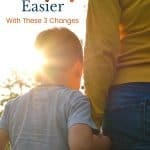 We all want an easier and less stressful family life. We want to make the most of the precious time we have with our families and not have it all be about daily responsibilities. While change is never easy, it can pay off! Routines help remove the micro-stresses and technology can automate and make things easier to do faster. Last but not least, identifying the things you should stop doing will all help make family life easier! Don’t spend one more day on the hamster wheel. 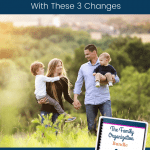 Consider these steps and download my free Family Organization Bundle to help you simplify the busyness and multiply the fun of family life!